This week on the PC World Podcast, editors Tim Moynihan, Darren Gladstone, Melissa Perenson, and Nick Mediati discuss the results of recent Windows 7 Speed Tests, why some Windows 7 CPU's can't run XP mode, and they also give us their take on the new Kindle DX. Nick Mediati has looked over the results the PC World Test Center's benchmarks on the release candidate, and looks like Windows 7 may not be too much faster than Vista after all--find out what else the editors have to say about the results. Also, listen in to hear why Windows XP won't work on some newer computers. The Kindle DX has the sole mission of wiping out printed reading materials once and for all. But is it time for the Kindle DX to replace newspapers and college textbooks? Hear what Melissa has to say about the device. 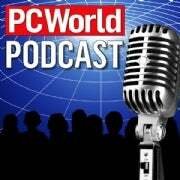 Listen in on iTunes or via the PC World Podcast RSS feed.